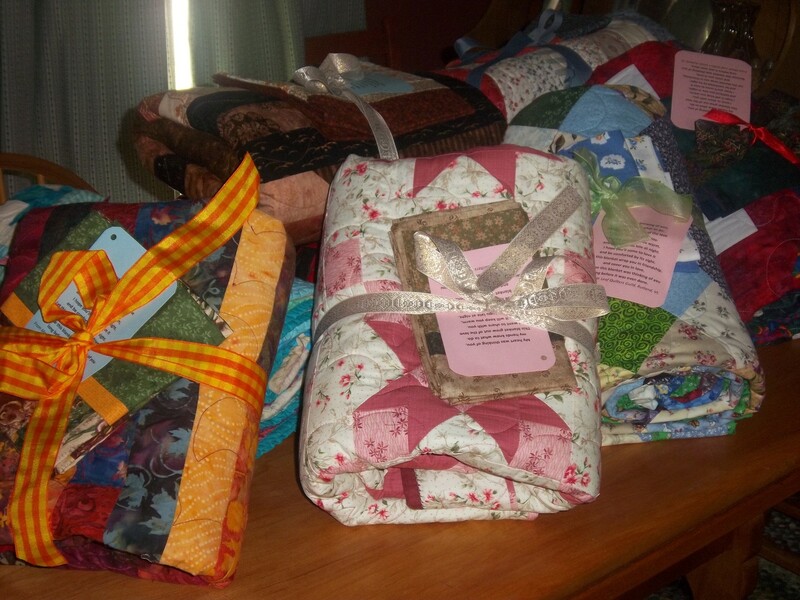 Comfort Blankets - mapleleafquilters's JimdoPage! September 2017 marks the beginning of our sixth year of our Comfort Blanket Program. During the guild year, 2016-2017, we distributed 237 blankets; making a total of 1469 since September 2012. 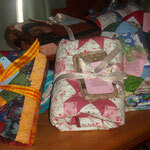 The 'blankets' can be quilts, crocheted or knitted blankets or fleece. They must be newly crafted. 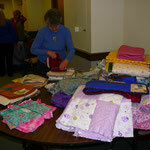 A large portion of the donations are "Tummy Time" quilts for newborns. 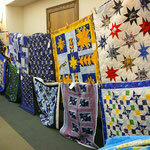 They are infant size to lap size quilts that are brought to the Women and Children Unit at RRMC. These must be Quilts and should be quilted not tied. 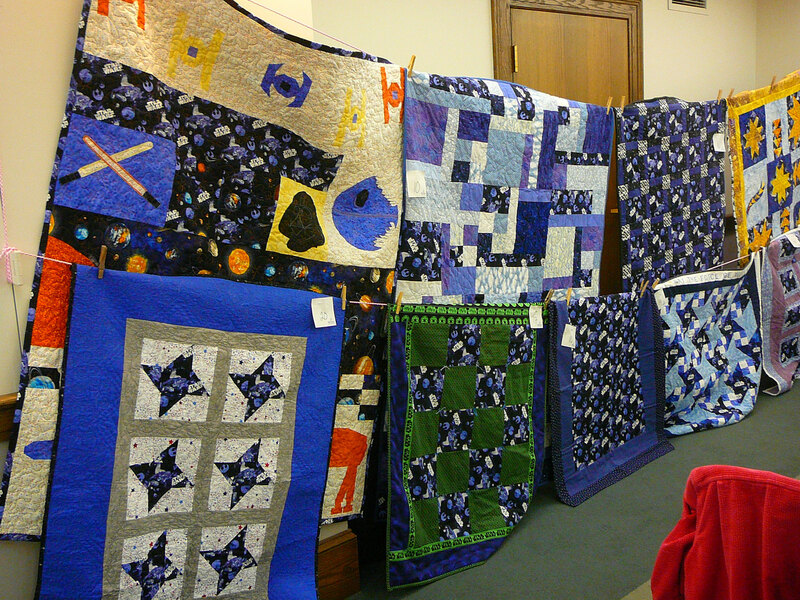 We have delivered quilts to The STEPS program (Students Taking an Effective Path to Success) for transitioning foster care students entering the The College of St. Joseph. 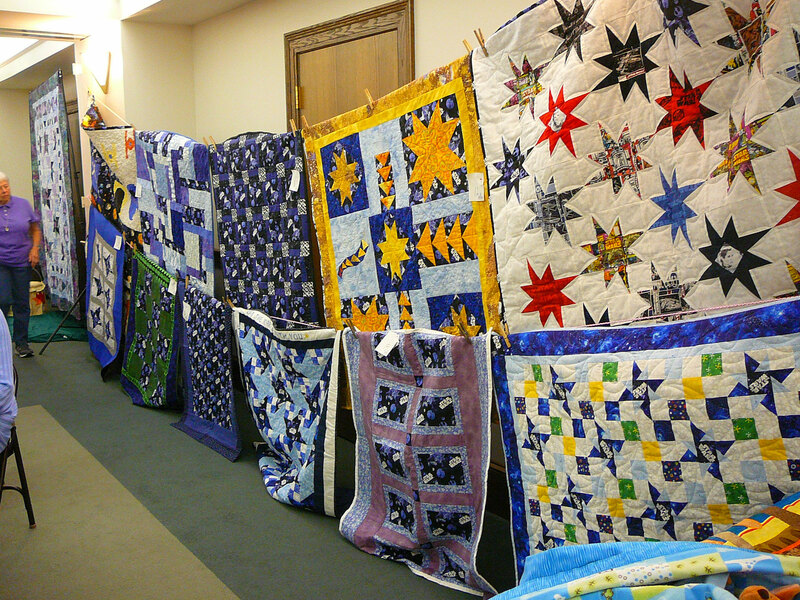 The blankets were beautifully made, and much gratitude goes to those who took the time in a busy summer schedule to make a quilt worthy of any student entering college this fall, and to bring a feeling of comfort to them and warmth to their dorm rooms. Other donation places include BROC, Family Services for foster children, Catholic Charities, UVM Child Life Team etc. and to any individuals that are in need of comfort. 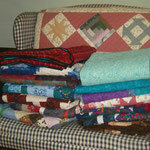 Many blankets that come to us are soft, beautifully made afghans. We could not have this community service without these donations. 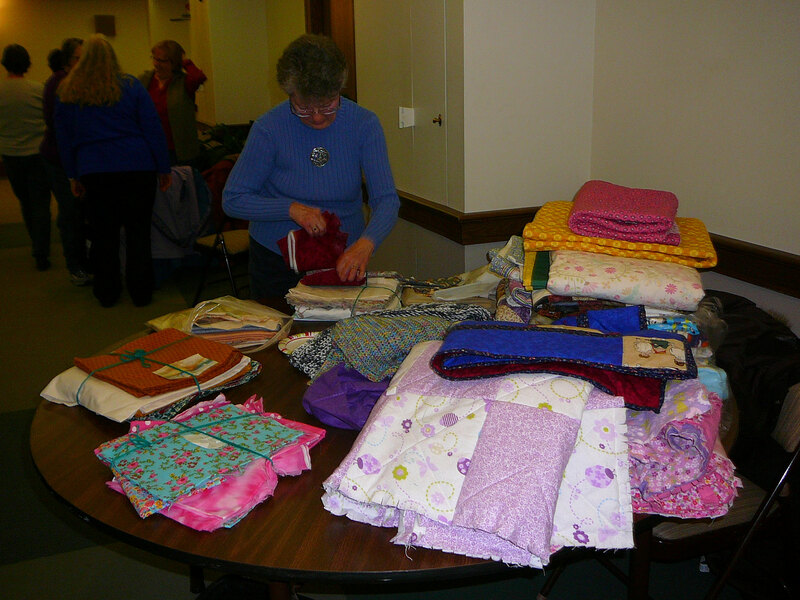 Members are encouraged to contact Joyce if "a blanket is needed somewhere." 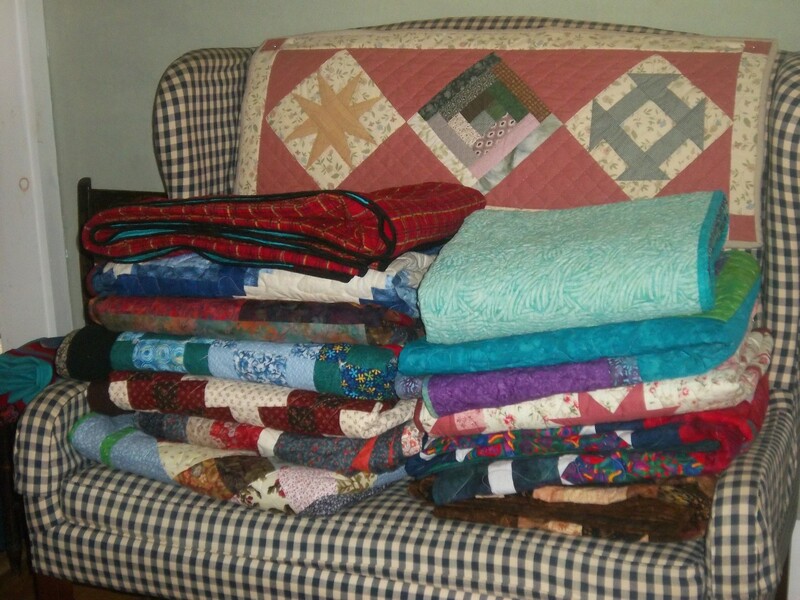 Comfort blankets for the STEPS program (first 2 on left) .on the right is a Quilt Guild Meeting Comfort Blanket table. 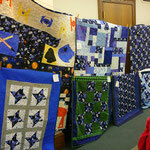 Furthest 2 on the right are from the Star Wars Challenge where every quilt went to Comfort Blankets.